The Allen County Superior Court has teamed up with Mental Health America in Allen County (MHAAC) in a new venture to provide assistance to seniors and incapacitated individuals who need advocates during complex court proceedings. The program, known as Volunteer Advocates for Seniors or Incapacitated Adults (VASIA), was designed to help communities recruit volunteers to act as guardians for incapacitated adults to make their own legal choices. Stanley Levine, an Allen Superior Court Judge, suggests that VASIA offers a voice to individuals who can’t speak for themselves. The specific goal of the program is to identify potential volunteers within the community, provide the proper training, and allow these volunteers to adequately represent both seniors and incapacitated individuals who aren’t able to adequately represent themselves. Mental Health America in Allen County will provide permission for volunteers from VASIA to legally make decisions for these individuals who require support. 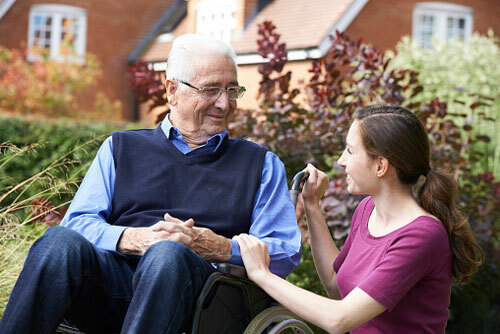 The permission extends beyond court proceedings and allows those selected from the program to make decisions on the care and possessions of seniors and incapacitated individuals. However, the courts still maintain a high level of supervision for all volunteers of the VASIA program to ensure that the needs of the seniors and incapacitated individuals are being respected and handled fairly. This includes regular reports on the overall condition of the person in which the volunteer is granted permission to supervise. It’s estimated that up to 35 seniors and other individuals in need will make use of the program within Allen County each year. The Executive Director of Mental Health America, Lisa Smith, expects to assign permanent guardianship to those who need assistance making daily decisions. Allen Superior Court received a $38,500 grant from the Indiana Supreme Court for the project, while MHAAC raised matching funds for a program budget of $77,000 thus far. Grant funds will be used to pay the program coordinator’s salary and benefits. “Court, Mental Health America Launch New Partnership,” The Journal Gazette web site, October 19, 2015; http://www.journalgazette.net/blog/the-scoop/Court–Mental-Health-America-Launch-New-Partnership.